Wear your wig with confidence. Many first time wig wearers worry that their new wig may not stay on. It can cause anxiety for the wearer that the wig might fall off or they have to use glue or wig tape to secure the wig into place. This perception that wigs are difficult to fit can put people off giving them a try, worry no more, wigs have come along way! Our fashion wigs are really easy to fit, they have adjustable velcro or hooks at the nape of the neck on the underside of the wig, you simply adjust these quick and easily for your perfect fit. The wig is now secured in place with no mess or fuss, no wig glue or tape needed. Some of our clients do prefer to use small hair grips as extra piece of mind, this is purely a personal choice and not a necessity. The taboo around wearing a wig is now long gone…hooray!!! Many celebrities, pop stars and actors wear wigs to simply change their image, they are a fab way to try out new looks. No matter what your reason for purchasing a wig, wear it with confidence and have fun changing your look. Discreet plain packaged wigs delivered to your door. Wig styles for the Autumn season. Now that we have entered the Autumn season perhaps you feel the time is right for a change in hair colour or style. 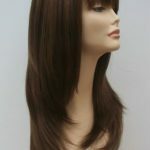 Fashion wigs offer the flexibility and affordability to change your style when the mood takes you! Warm colour tones and wigs that can be styled to suit your own needs are just some of the popular styles for this season. Take a look through our selection of wonderful wigs to find the perfect wig for you. All our wigs are so easy to fit, simply adjust on the underside of the wig for your secure comfortable fit. Change your look today with a fabulous fashion wig. Wig styles for a super Spring look. With the change in Season it feels great to be coming out of the bleak wet Winter months, lighter nights, longer days, all go a small way to making us feel a little bit brighter. Here at Wig Store UK we have some wonderful wig styles to really refresh your look and give you a spring in your step! It’s feels fab to have a new hairdo, a hairstyle which suits you and that your happy with can make a real difference to how you feel. Wigs make a great alternative to going to the salon and spending hundreds of pounds cutting, colouring, heating and styling the life out of your own hair. Find a wig style to suit you and there’s no going back. Take a look at our full selection of ladies wigs, whatever the reason for wearing a wig, fashion, medical, a change of image whatever, have fun, try new styles and find the new you! Party hairstyles – it’s the party season, time to dig out that little black dress and glam up for that special night out. Finding yourself in hairstyle rut is a common problem, we would all love to wow at a family party or office do but sometimes our hair leaves us feeling less than glamorous. Discover the flexibility hair extensions or a wig can offer, they can completely transform your look in seconds. Our full sets of hair extensions come in a range of colours, are heat resistant and be straightened or curled to suit your look. Full wigs are perfect for a complete transformation, have a new look with modern cut bob or go for full on glamour with an extra long wig. We stock a full range of wigs, many of which can be styled to create your fabulous new party hairstyle. Wigs are now super fashionable, they are lightweight, styled and are available in a huge range of colours and cuts. Unlock your hairstyle potential and party in a wig. See the full collection of ladies wigs and hair extensions www.wigstoreuk.co.uk, follow us on Instagram, Facebook and Twitter to keep up to date with new hairstyles, colours and offers available. Modern ladies hairstyles are so easy to achieve by using a wig. As fashions change on what seems to be a weekly basis it’s struggle to find a modern style that suits you without spending an enormous amount of time and money. Fashionable wigs are perfect, you can change your look as often as you like the minimum of fuss, effort or expense. Our fashion wigs now start from around £20, so it’s an affordable way too to have a complete image boost. One of our most popular wigs is the Sophia wig, this beautiful wig comes in brown, blonde, and black. Some of our clients wear this on a daily basis or simply for going out every now and then for a change of appearance. 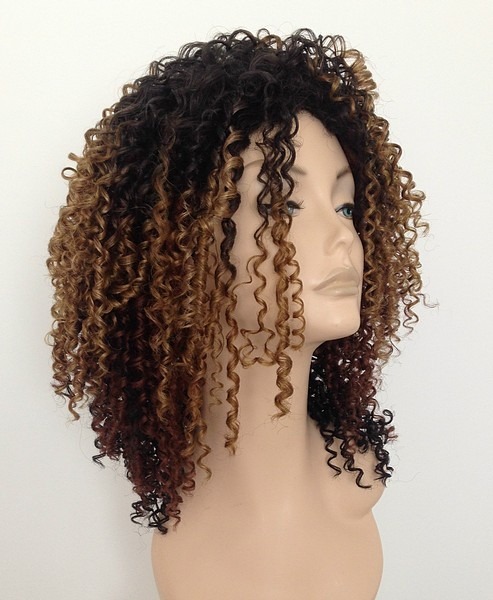 This particular wig is also heat resistant which means it can be styled with heated appliances on a low setting if you fancy putting a few waves or curls through the style to bring it right up to trend. Wigs a flexible, affordable, fabulous way to create a modern hairstyle. Spring hairstyles – feel like a change of style this Spring? 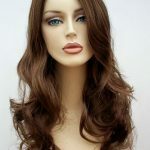 Here at Wig Store UK we have some great lightweight shorter style wigs which can dramatically transform your appearance. Treat yourself to a makeover, try a wig to achieve the look you want without the hassle of having to spend hours in a hair salon. Shorter styles are pre-styled and easy to care for, all wigs come with simple washing instructions and can be worn time and time again. Create a fabulous new you with choppy bob style wig or add some colour with one of our vibrant red wigs. The choice is yours, browse at your leisure and try a new style today. Blonde hairstyles – Do blondes have more fun? Why not try a blonde wig to see if blondes really do have more fun. We have blonde wigs to suit all ages and looks, from long glamour blonde wigs, to more subtle mid length styles. 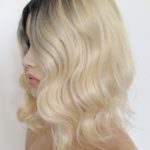 Our collection of blonde wigs also include heat resistant wigs, these can be styled so you can create the look which really suits your individual look. If your natural hair colour is a dark shade is can be extremely difficult to achieve a natural looking blonde shade, not to mention the damage that can be caused by peroxide hair lightening agents. A wig is such a great way to try out a new colour shade without the commitment. Test the theory to see if blondes really do have more fun! 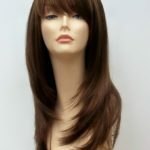 All our wigs are suitable for all purposes, medical, fashion or simply a change of image or look. They can boost your confidence no end and let you enjoy a hassle free new look. All our wigs are classed as a medium or one size which fit the vast majority of people, male or female. As we are based in the UK you do not have to wait weeks for your new wig. Sale wigs. Here at Wig Store UK we have many wigs which are on sale. For a limited time our Jasmine blonde headband wig is currently on sale for only £25. 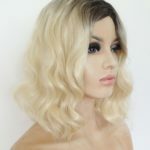 This wig represents excellent value for money, it’s made from high quality heat resistant fibre and comes in a natural blonde shade which is blended with light blonde strands. 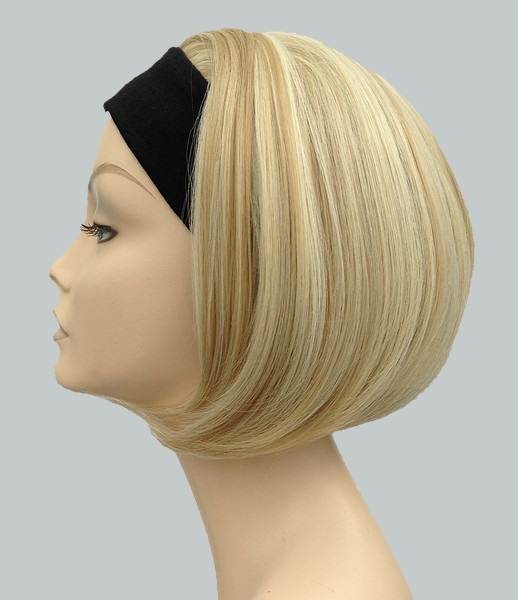 The soft black headband is quite wide and very comfortable to wear, if you feel that you are not quite ready to go for a full wig, a headband wig might just be the perfect solution. Give yourself a new look, boost to your confidence or simply use a wig for a fashion accessory. Keeping up with all the new fashion trends particularly when it comes to hairstyles it nigh on impossible, not to mention impractical. Wigs can be your new ‘must have’. Fashion wigs are modern, easy to wear and give you a totally new look whenever you feel like it. Wigs used for fashion purposes can also save you a fortune on hairdressing/salon prices, many fashion wigs from Wig Store UK are £35 or under, they can be used time and time again, the colour never fades and the style is done for you. Release your inner fashionista and try a wig today! Create a whole new you, try out different wig styles, long straight styles to short cropped bob wig styles, and everything in between. Have fun – be creative but most importantly you don’t need to ruin your own hair to achieve a new look. Long hairstyles can look fabulous, however, it’s not easy to grow your own hair, all seems to be going well then you get to ‘that’ point, nothing can be done with your hair, you get frustrated and all your plans for lovely long locks go out of the window. Take a look at our full range and have the perfect long hairstyle without having to wait for your own hair to grow! Wigs are more versatile and modern than ever before, have the style, length and colour to suit you in an instant and for much less than you would think.